Im Tirtzu, Israel’s largest grassroots Zionist organization, wants to hear from the various parties as to where they stand on the fundamental Zionist issues. This was the wisdom of the playground from my childhood. It played a salutary role in toughening us up a bit, but honestly, it’s not completely true. Words have power, and names have a way of osmotically defining people. And organizations. When it comes to Zionist organizations seeking to defend Jewish and Zionist values, there are those in the media, particularly the progressive Left wing media, who have found it easy to default to the political “f” word. "Fascism" becomes a one-size-fits-all label for views and behavior that they don’t like. The fact is that there is no point in engaging with the specifics of these organizations: they are beyond the pale, irredeemable, and just possibly, evil. Now we are entering an election season where rhetoric has a way of getting inflamed, and temperatures inflated. All the more reason why it is now incumbent on us to take a deep breath, and, as adults, ask ourselves, what is so extreme, so “fascistic” about seeking to defend Zionism in the public sphere? When soldiers are harassed, are those who want it to be stopped, extremists? When professors bully students because of their own opinions, or for their uniforms, or because they don’t subscribe to the professor’s political views, who is the extremist? The victim? Those who would defend the victim? What about the professor’s accountability? 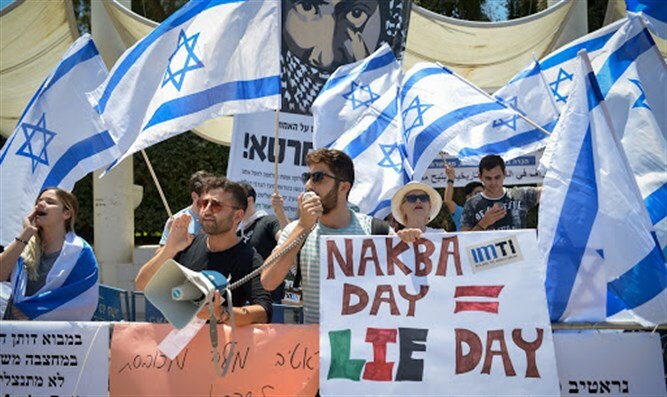 Can it really be said that those who resent the machinations of European governments, individually or through the EU, to disregard Israeli sovereignty by building illegally in Judea and Samaria, or by financing and encouraging organizations promoting BDS or the de-legitimization, can these defenders of Israeli sovereignty really be extremists, even fascists? Where is our moral compass? Where is our political dignity? We support a robust deterrence to terror, including tightening the conditions of convicted terrorists in our prisons. Is this extreme? In this election season, many Zionist organizations, including my own, Im Tirtzu, Israel’s largest grassroots Zionist organization, want to hear from the various parties as to where they stand on certain foundational issues. We support the new Nation State Law, as a needed constitutional concretization of Israel as a Jewish State. Does this make us fascists? Can supporting the voices of bereaved families be thought of as marginal behavior? How about the embrace of non-Jewish minorities who want to integrate and support the State of Israel? Are these the mother’s milk of wild-eyed extremism? All of these issues are important to the substantial majority of the citizens of Israel, who overwhelmingly support the efforts to defend Israeli sovereignty and to prevent a self-destructive collapse in the face of attempted de-legitimization. In other words, that which some would reflexively label as fascistic is four-square within the consensus of what Israelis believe and want. Much of the Israeli media secretly, or not so secretly, probably feels much the same way. Nevertheless, the convictions of Zionist organizations such as mine lie right in the consensus of the sensibilities, values and preferences of Israeli society. This is not a political statement, but a civic, social, even existential statement. Israelis cherish the fact that they live in a Jewish State. They cherish the idea that the State is there to protect them in a hostile neighborhood, and they are not embarrassed to demand that the State make good on that protection. Israelis are respectful and appreciative of those who are sacrificing to defend them, and are gracious to those non-Jews who themselves also appreciate the merits and the goodness of the State. Now especially, in this election season, these should be seen as an integral part of our consensus. These values and beliefs should be part and parcel of the platforms and worldviews of any party looking for consensual support. Lastly, those who extol these views and demand that our government stay true to them should themselves be seen as consensual reflections of the public will, not as extremists. Those who would marginalize consensus will only succeed in marginalizing themselves. 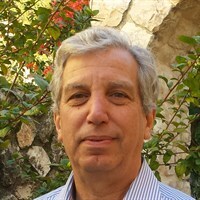 Douglas Altabef is Chairman of the Board of Im Tirtzu and a Director of the Israel Independence Fund.